As its name suggests, this brand-new MILLET backpack is emphatically dedicated to active mountain pursuits, performing well on trail running day trips. Perfectly suited to lightweight hiking, its feather weight - just 700g - will sway the most demanding hikers, who keep a close eye on the lightness of their gear. 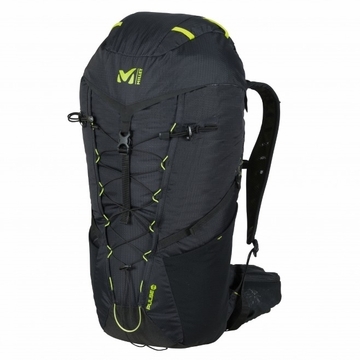 This pack's flexibility and sport ergonomics promote fluid arm movement. Designed for rapid travel, the PULSE 28 is very light and breathable. The PULSE back, a honeycombed EVA structure, keeps the load very close to the body while also optimizing air circulation, as do the perforated EVA inserts in the ergonomic shoulder straps and hip belt. Geared for a strong sense of mountain freedom, the PULSE 28 has a lid opening, which is handier when you've planned a heavy day; and a full feature set, operational for all activities such as multi-pitch climbing, via ferrata, and even cycling excursions.